Tell us a little bit about your company and its history. Swift Industries is a bicycle bag company in Seattle, Washington. While our official story as designers and pannier makers began in 2008, with a business license one sewing machine and three rolls of fabric, twenty-twenty hindsight reveals that our journey had started two years before on a tour along Adventure Cycling Association’s Pacific Coast Route. It’s only now that Jason and I can clearly see that when we started pedaling south on our three-week trip we were opening a door that would reshape our lives. 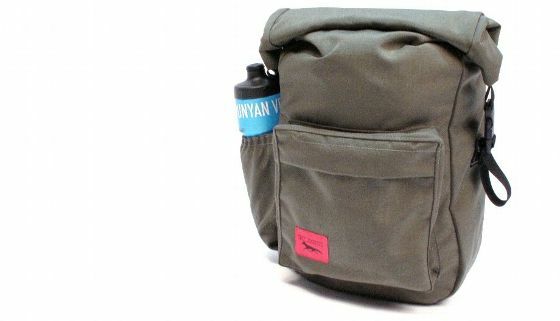 At Swift Industries we make bicycle panniers, randonneur bags, and saddle-bags for the adventuring cyclist. Our company has committed to rethinking the way gear is designed and produced in the United States. Swift Industries designs and manufactures from a beautiful industrial workplace in the heart of Seattle. 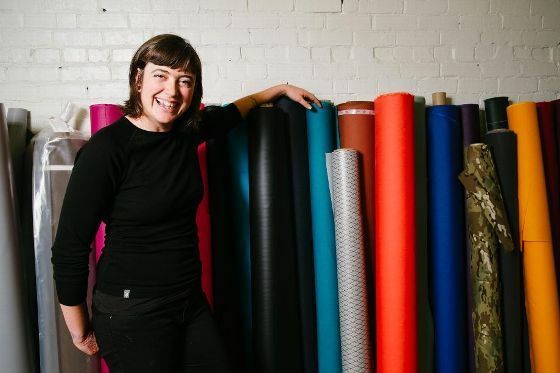 Each product is made from start to finish by one of four accomplished seamstresses, a company trademark that is nearly extinct in modern manufacturing. Each of us are adventurers, designers, and makers in equal measure. What services or products do you provide for bicycle tourists? Swift Industries offers a variety of bicycle pannier designs, handlebar mounted front bags, and European style saddle and randonneur bags. Our bags are set apart by design and materials, as well as the opportunity to customize features on each product through our website. 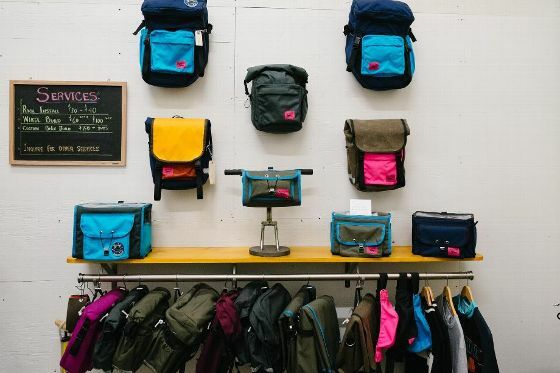 In addition to our own products, our online store and brick and mortar showroom offer the best of bike-camping accessories, touring guides, and regional Adventure Cyclist maps. Swift Industries’ showroom converts into a classroom where we teach a popular Introduction to Touring series, host slide shows and tour reports, and encourage trip planning with maps and guide books on-hand. Why do you support Adventure Cycling through corporate membership? Adventure Cycling published the maps for our first long-distance tour along the Pacific Coast Route. Bike touring has changed the way we see the world, has opened opportunities to meet amazing people, and has brought us to some of the most stunning places in the world. We are constantly inspired by the resources AC offers wayward cyclists young and old, and Swift Industries wants to thank the passionate folks at AC for their commitment to bicycle travel. What are your favorite things going on in cycling right now? There is a wave of adventure cycling that has captivated the imaginations of adventurers everywhere. Remote touring–call it gravel riding, bike packing, adventuring—what have you, has lured us deep into mountain ranges, unfettered wilderness, and in pursuit of wide open spaces. Road touring proved a stepping stone toward remote touring that tests our outdoor skills, more technical riding, and opens up to more serine landscapes. We’re hooked! Where would you like to see cycling in America in 5 years? I think we’re heading in a good direction, and I want to see bicycle infrastructure and communities growing. Bike lanes, family cycling, cyclocross and bicycle commuters are weaving into the social and infrastructural flow of our cities. People and organizations are working hard in their communities to bring visibility to cycling, and to make it a safe and viable form of transportation. I’d love to live in a place where it’s second nature for people to pull out their bicycles for many if not all aspects of their lifestyle. What is your favorite service or program that Adventure Cycling offers? Out of all of the amazing work AC takes on, the Young Adult Touring and Leadership Scholarship excites us the most. 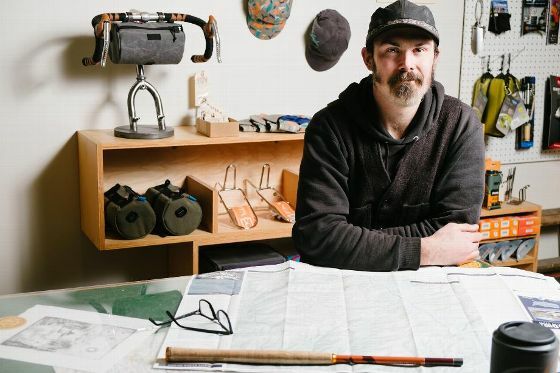 Jason and I both worked in Outdoor Education and are committed to encouraging young people’s leadership skills through wilderness travel and outdoor activities. We really appreciate AC’s quest to usher in young adventure cyclists through the fund. If your headquarters staff could relocate to any place in the world, where would they choose? I’m not kidding. Seattle is it! Mountain chains to the East and West, island archipelagoes to explore, and the perks of urban living are all in reach in this laidback city. People spend their free time outdoors, mountaineering, fly fishing, and cycling. Swift Industries is right at home here. As your company grows, have you had mainly tailwinds, headwinds or crosswinds? Explain. Any good adventure encounters all three, and the same is true of these first years creating our business. In the beginning we really roughed it—we were dirtbag adventurers and our company was homespun, vibrant, and delightfully unconventional. 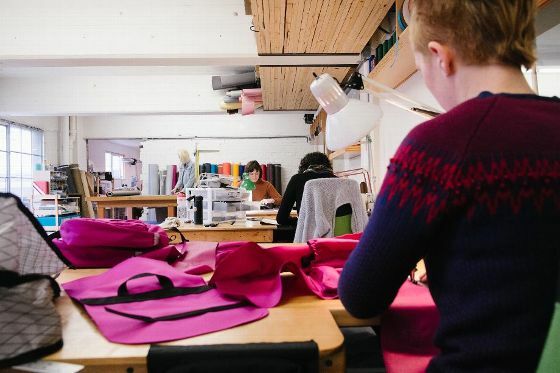 As cyclists around the world have caught wind of Swift Industries we’ve loved navigating slow-growth, bringing in a team of amazing seamstresses, and working long, hard hours to get people travelling by bicycle. Has any of your staff ridden Adventure Cycling’s mapped routes? If so, which ones? We’ve used the full Pacific Coast Route map set and have the Sierra Cascade and Washington National Parks routes on-hand as reference for exploring the Pacific Northwest. What do you like best about the magazine? The articles in Adventure Cyclist inspire our ever-lengthening bucket list of places to explore. Scanning the Companions Wanted section is always fun, and we look to the gear reviews for solid advice about high quality gear. What cycling related benefits do you offer your staff? That’s a pretty funny question at Swift Industries. All five of us are equally obsessed with bicycle touring and we’re connected to a rad diversity of cycling communities in Seattle. We’ve rolled into work ready for staff S240’s and are planning a five-day tour this spring (2015). It’s a resounding passion to make sure that each of us uses our bags on extended tours, weekend gravel rides, and in the city! What’s more, our staff has access to a mechanic bench, bike parts and outdoor gear. We exchange resources and keep each other stoked on cycling. All of us get to travel to nation-wide bicycle events, and participate in local projects through Swift Industries.